Walk Like a Roman, Save the World from Cancer | Worldbuilding Rules! 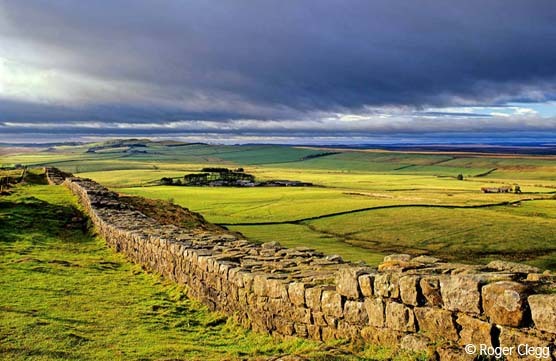 Next weekend, a Roman soldier will again walk Hadrian’s Wall in northern England. 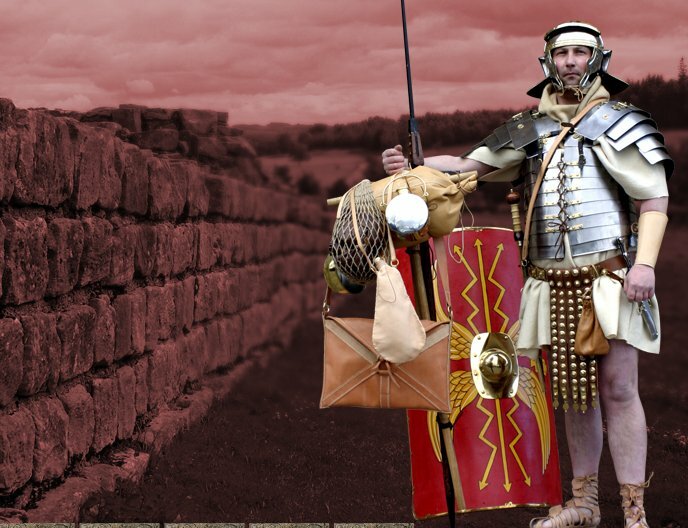 A Lancaster (England) man, Duane Alexander, will walk the entire length of the Wall in the full gear of a Roman soldier, to raise money for Cancer Research in memory of his mother. Update: for a modern day comparison, my son tells me that the US Army soldier’s full “battle rattle” including helmet, armor, weapons and pack, weighs around 60 lbs. The farthest he’s ever had to march wearing it in training is 8 miles. Here’s a good article about the march, on the Virtual Lancaster news blog (thanks to John Freeman for the link). This has to be one of the coolest ideas ever for a cancer fund raiser, thanks to Mr Alexander’s love of Roman history. I can’t think of a better way for geeks, especially history geeks, to raise money for cancer research. If you want to help, go to the Donate tab on his web site, Alexander’s March, or directly to his JustGiving.com page. Paypal and credit cards are accepted, so you don’t have to worry about currency exchange. Every little bit helps. UPDATE: August 30, 12:30 EDT New updates are available on the Alexander’s March web site, as Graham notes in his comment below. Just click on the “Update” link in the banner. It’s midday on the US east coast as I post this, so at this moment, Duane ought to be celebrating his completion of the march. He’s also got a Facebook page, Alexander’s March. Note: Yes, I did just post about another very long walk! Apparently I’m starting to collect these long walks and treks with pre-industrial transport. They’re very suitable to the purpose of this blog, as they provide lots of detail on a kind of journey most of us will never make (especially us sedentary writer/gamer/geek types!). And yes, science fiction worldbuilders, I’ve noticed that my list of foot and horse treks favors fantasy and non-industrial worldbuilders over high tech futuristic worldbuilders. This is unavoidable, I’m afraid. I’ll happily post high tech SFnal travel adventures, the moment I learn about someone attempting a real world journey via flying car, stargate, transporter or other future tech means! « Ed Stafford Has Walked the Amazon! Whenever I look up from my screen at work, I look at the curving grace of Hadrian’s Wall — Cuddy’s Craig, just west of Housesteads Fort in Northumbria, to be specific. 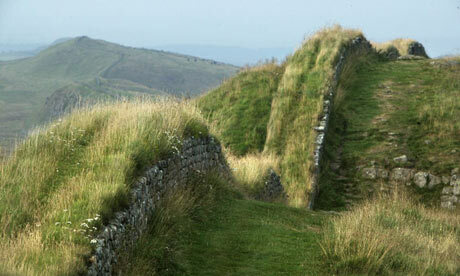 If you google “Hadrian’s Wall images”, half the pictures that come up will be Cuddy’s Crag. Which is why I picked a couple of non-Cuddy’s images. Besides, I couldn’t resist that dramatic sky in the second one. I forget, when were you up there? Alexander’s March makes me want to go up there now! And swing by the Lake District on the way! There are now some photos available from Day 1 of the March (download the Press Pack or TV Pack from the website), also links to a short video from the Update page. Graham, thanks for posting this. I’ve just put it in a post update. I was at Hadrian’s Wall about a million years ago — or so it feels! Actually, I’ve been there twice. Once was (I think) in the 1980’s, and the second time was during my first sabbatical in 1990-91.